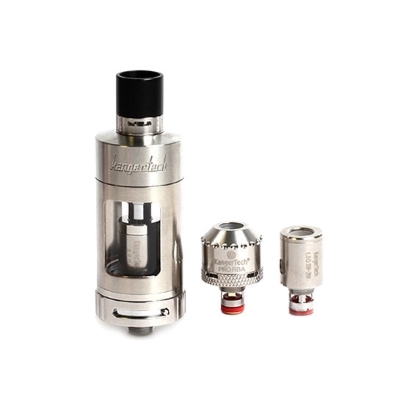 Kangertech Protank 4 Evolved Clearomizer is the latest cartomizer from Kanger Protank series. The Protank 4 is designed for both mouth to Lung and direct lung vaping. It has its own RBA deck and is compatible with the broad array of SSOCC/ceramic coils. It has a 5ml juice capacity, convenient top side filling, child lock, adjustable airflow on both top and bottom. Size: 22mm (D) x 65.5mm (L). Material: Stainless Steel + Pyrex Glass. SSOCC MTL 1.5ohm atomizer head. RBA head with dual Clapton coil.